Set aside the appropriate amount of time for your reading. Find a comfortable / quiet location that will allow you to focus and be undisturbed. Prepare your questions or topics that you would like to focus on during your session. If you plan to use a mobile phone or Skype connection for your reading, be sure to call from a place where you receive a clear signal / good reception. 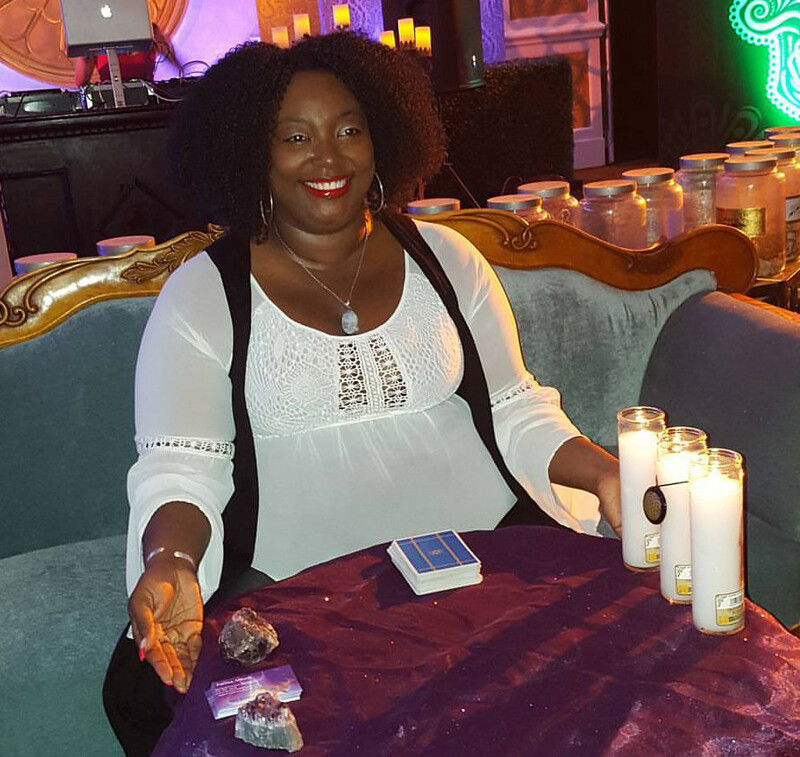 To learn more about how a session with Fatima works, click here to check out her Tarot reader interview with Agape Editions. Cancellation: 24 hours advance notice to reschedule or cancel session. Appointments missed, late cancelled, or changed without 24 hour notice will result in a charge equal to 100% of the session fee. Payments: Fees can be paid by credit/debit card or cash. Payment for readings or consultations are non-refundable. Gift certificates available. Contact Fatima with any questions or to request additional info. Disclaimer: Please be advised that no reading can diagnose, predict, or offer information with 100% certainty. Fatima is not held accountable for any decisions or interpretations made by clients based on insights offered during sessions. For entertainment purposes only. Regarding medical concerns, please consult your doctor. For legal issues, contact your attorney.